Most of North Dorset is designated as an Area of Outstanding Natural Beauty and three quarters of the coastline is a World Heritage Site, both richly deserved, this exceptional County epitomises the English countryside. You can explore miles of footpaths with a backdrop of breathtaking scenery, colourful heathlands, sweeping down land of Cranborne Chase and the Dorset Downs. Most of Dorset, whilst still within easy reach of the coast is a network of country lanes, running through a rich, green countryside. You will find a huge number of ancient barrows and hill forts, the largest of which is Maiden Castle. Dorset’s climate is of warm summers and mild winters, due to its position on the South coast. It boasts higher summer temperatures than both Cornwall or Devon and enjoys more sunshine. Blandford Forum boasts a Georgian style Market Place, and photographic records are able to illustrate how the area has retained its open style for many years. Markets still continue to run in the same place every Thursday and Saturday near the Church of St Peter and St Paul, which has stood grand in the Market Place since 1739 and is a fine example of the Georgian architecture that can be seen throughout the town. 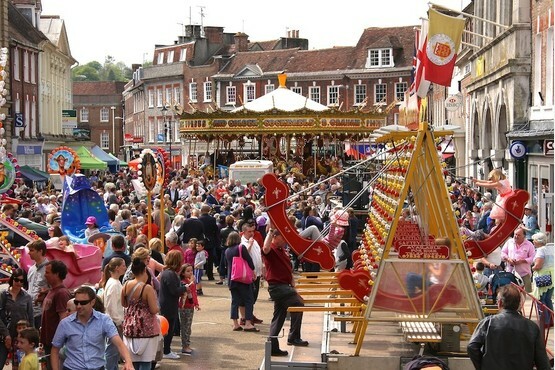 The Georgian Fayre held in the same area as the market is an annual charity event attracting many visitors. A real step back in time, and tradition all the local committee work relentlessly to show off each year.There is something for all the family with music, dancing, stalls, fair rides, street markets and re-enactments you will be sure to have a fun filled time. The Great Dorset Steam fair held near the Georgian market town of Blandford, is one of Europe’s largest outdoor shows attracting thousands of visitors each year and show casing the best of steam engines. Stepping back in time and discovering the sheer excellence of these machines is not to be missed. There is also a display of vintage and classic cars, a rural display of farming events and many local crafts and produce on offer. This huge fair is full of life and takes place over a weekend in August, there is something to grab everyone’s attention and you are certain to have a wonderful time with all the family. The Cerne Abbas Giant, overlooks the pretty village of Cerne Abbas. It is an ancient, giant, chalk sculpture, maintained by the National Trust. 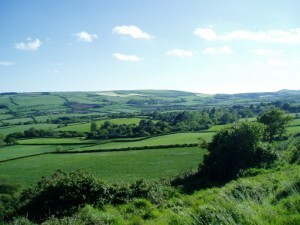 The giant lies in an area of Outstanding Natural Beauty on the edge of the Blackmore Vale. The age of the giant is not known, it is thought to date back centuries but the earliest mention is in the 17th Century. The giant is a popular visitor attraction and is often associated with fertility. 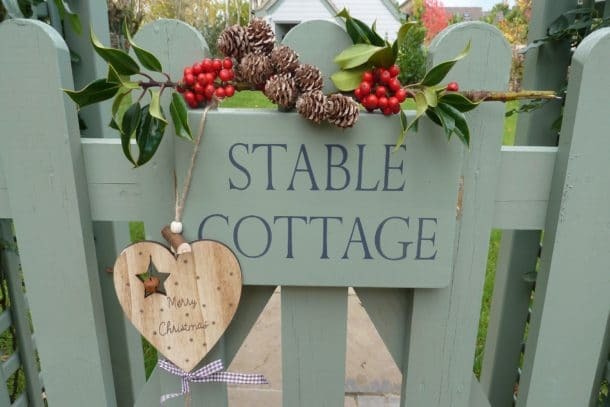 Holiday Cottages In Sturminster Newton – The Merlins. Historically the town lay in the heart of dairying and cheese-making country and this heritage is celebrated with the wonderful Sturminster Newton Cheese Festival each September which attracts many visitors. Still in working order, the ancient flour mill built on the River Stour provides a unique opportunity to travel back to much simpler times; you can discover the age old secrets of harnessing the natural power. You are guaranteed to feel tranquil and at peace in the spectacular idyllic surroundings. Informal guided tours take place and are highly recommended, there are also several events that take place at the Mill throughout the year such as afternoon teas and the boogie woogie festival. The market town of Wimborne Minster is situated on the banks of the picturesque water meadows of the River Stour. The town boasts excellent shopping facilities and restaurants within quaint narrow Georgian streets and squares. 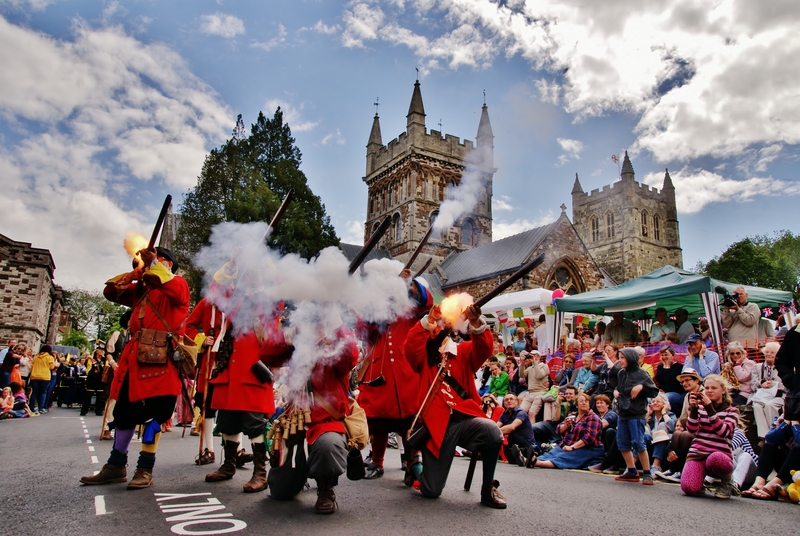 An annual Folk Festival in June sees a celebration of music, dancing and street entertainment great fun for all the family. Model Town -The captivating model town, which depicts Wimborne in the 1950s, provides hours of fun for children and adults as they compare the tiny buildings to those in the town today. Honeybrook Farm is a fantastic haven for children and adults alike. Explore the 84 acres of river meadows, Victorian Farm, adventure playgrounds, farm animals, ponies, river walks and tractor rides. Enjoy the yummy tearoom or take a picnic. You will certainly be able to spend a full day exploring. A historic market town which lies on the banks of the River Frome, in the Frome Valley just south of the Dorset Downs. The County town of Dorchester was also made famous by the works of Thomas Hardy, who used the county as the principal setting for his novels. Dorchester’s roots stem back to prehistoric times. The earliest settlements were around Maiden Castle, a large Iron Age hill fort that was one of the most powerful settlements in pre-Roman Britain. The remains of the Roman wall surrounding the town can still be seen today. The County Museum harbourers many Roman finds and is well worth a visit. 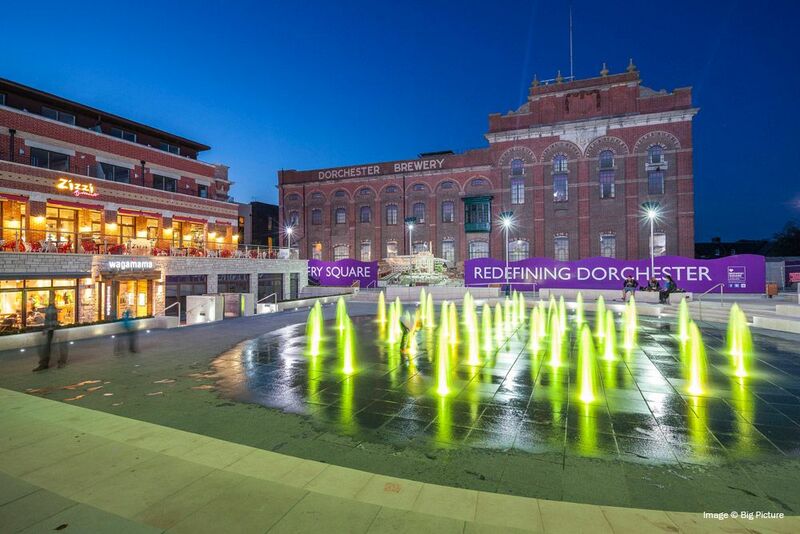 The lively new development of Brewery Square has a wealth of restaurants bars and shops and an outdoor big screen cinema area, well worth bearing in mind for those evenings you don’t want to cook! 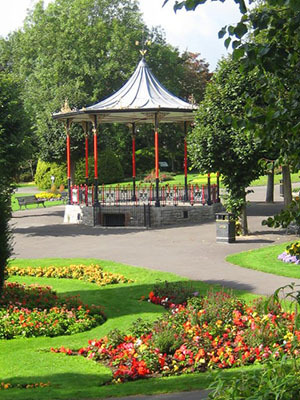 There is a weekly farmers market, Teddy bear museum, The Keep Military Museum, Borough gardens to explore and parks for the children, the town of Dorchester is sure to provide something for everyone. The Dorset County Show is also held annually in September and attracts thousands of visitors. A full day of equestrian and outdoor events along with many country trade stands. There is a wide range of displays which can be enjoyed by all including the Bulldog Lings motor stunt team fresh from this year’s Britain’s Got Talent. Kingston Maurwood Gardens and Animal Park. Kingston Maurward Gardens are set deep in Hardy’s Dorset and are listed on the English Heritage register of gardens. The gardens include grand floral displays, stone terraces, topiary, a lake and temple. The Animal Park is a firm favourite with children and home to an interesting collection of animals – small medium and large. You will easily be able to spend a day exploring a definitely worth packing a picnic to enjoy in the idyllic surroundings.